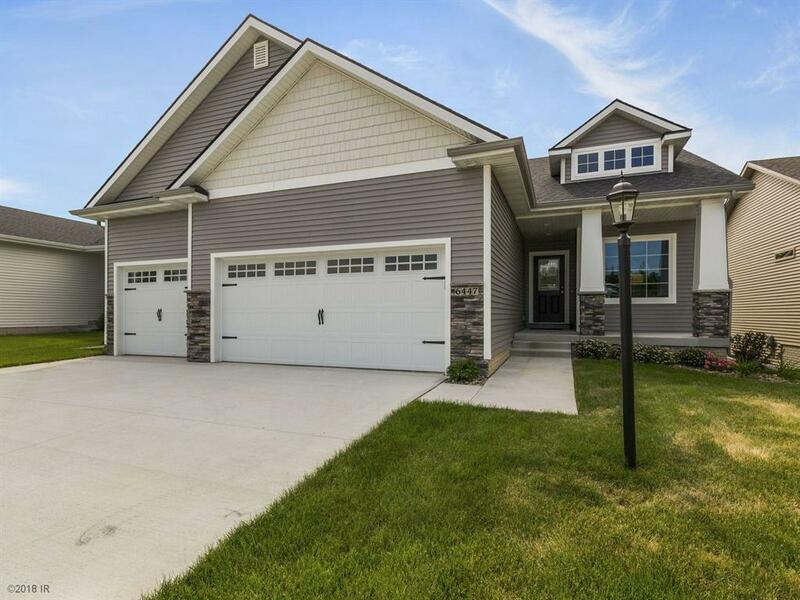 This home currently has $5000 in Hubbell Bucks that can be used toward a variety of upgrades or closing costs. Attention Nature Lovers.... enjoy your treed view with an abundance of wildlife from your covered deck....with out the hassle of yard work or snow removal! This beautiful Graham ranch home has 2760 Sq.Ft of finished living space and sitting on a DAYLIGHT homesite. This is a Prime location that backs to the golf course & has wonderful curb appeal, charming front porch, vinyl siding, & stone accents. The Kit features a corner pantry, SS appliances, White cabinets & granite countertops. The roomy Master Suite is finished with a tray ceiling, a double vanity, tiled shower, and a spacious walk in closet. The LL features the 4th BD, BA and a huge Family Room . Every Hubbell Home includes a passive radon mitigation system and testing, 15 year basement waterproof guarantee, and much more. Association Fees: 150/month.